Setting up your own seedbox from scratch, step by step tutorial. 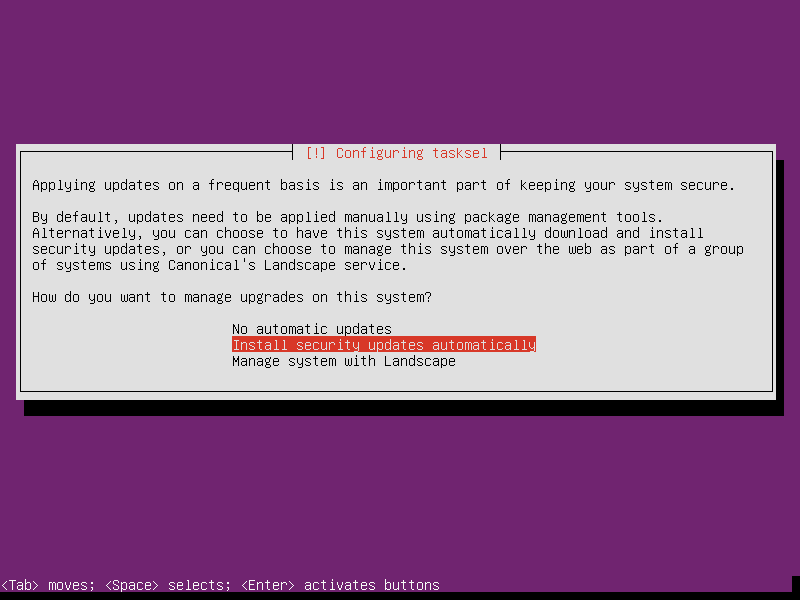 While Ubuntu may not be the most lightweight Linux distro available, ti does make things very easy. 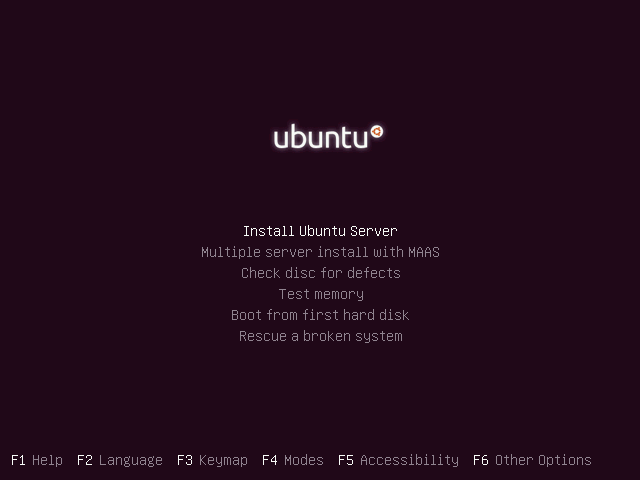 I will be using Ubuntu 14.04 Server. I developed this tutorial using VirtualBox, but if you have a spare laptop or old pc, that will work just as well. 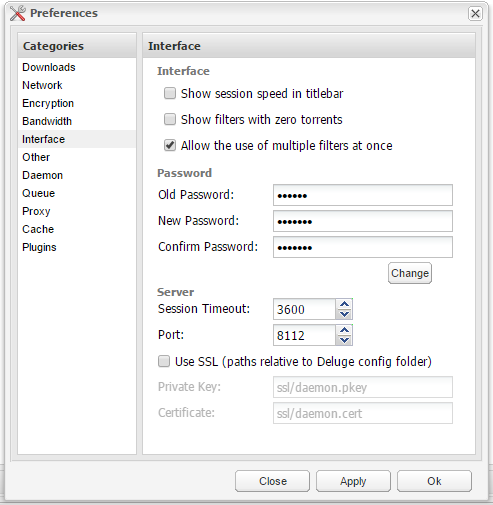 I will show you how to install Ubuntu 14.04 server, install the latest version of Deluge, including the daemon and web interface, as well as set up a basic FTP server and Samba share to access your downloads. You can get the latest version here. Make sure you get the right version for your hardware. You can burn it to a CD or install from USB using LinuxLiveUsb creator. 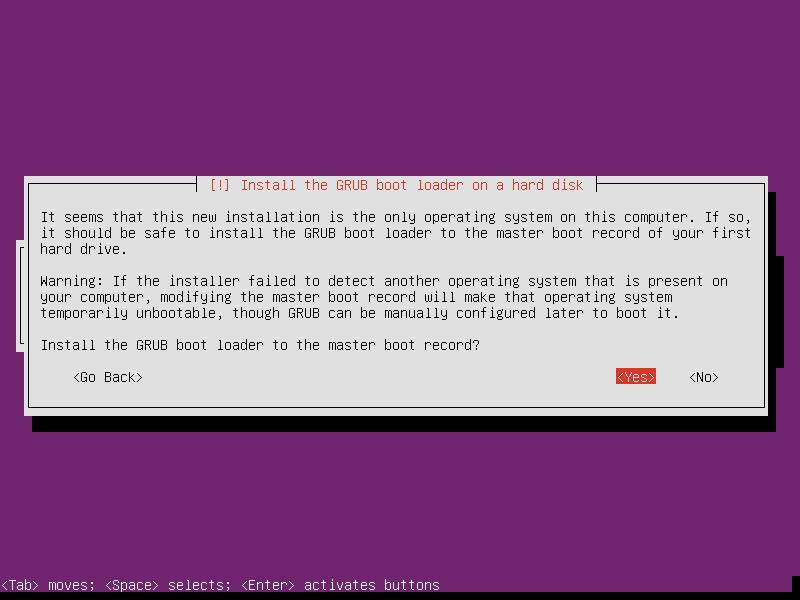 Once you have the machine booting from your installation media, follow the steps below to install Ubuntu. 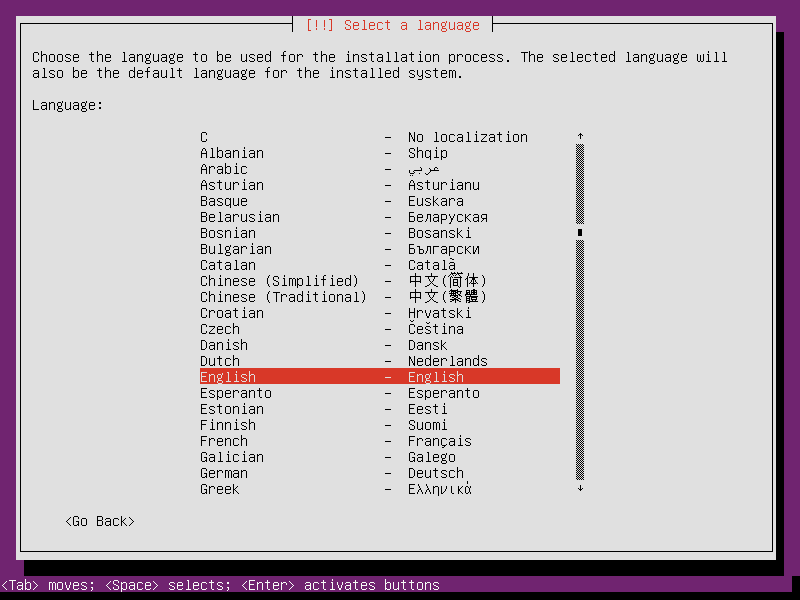 You will be greeted with an installer language selection. I speak English, so that is what I will be using. 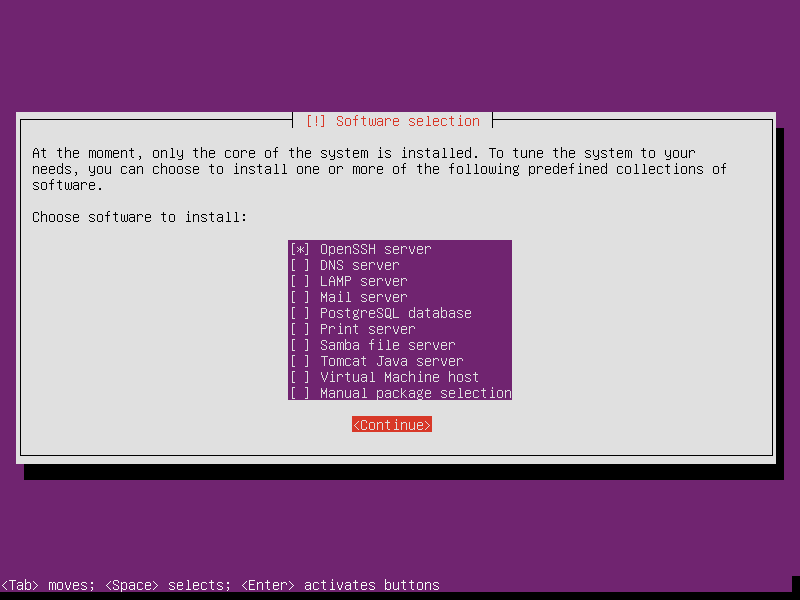 It's not rocket science, just select "Install Ubuntu Server" and press enter. You get to pick your language again for some reason. 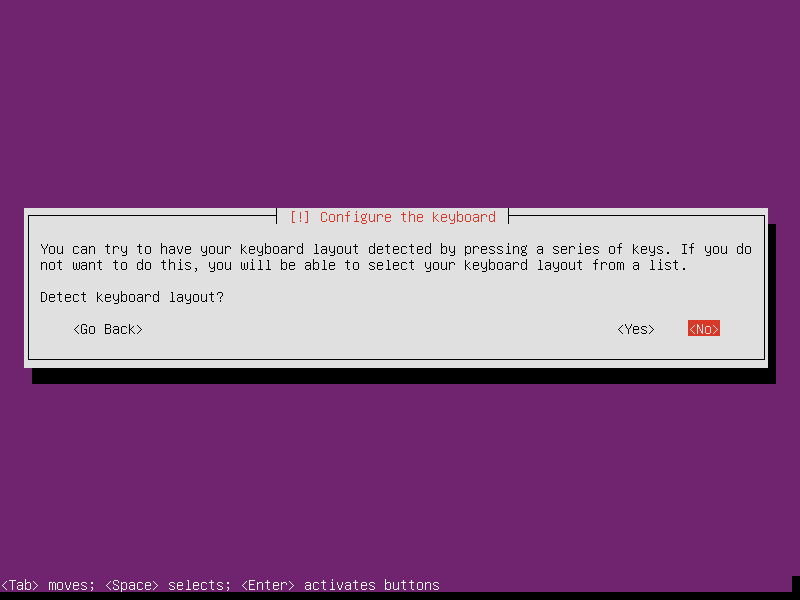 Trust me it's faster to select your keyboard layout rather than letting Ubuntu try to detect it. English (US), not surprises here. I bet you can come up with a more creative name for your server than I did. 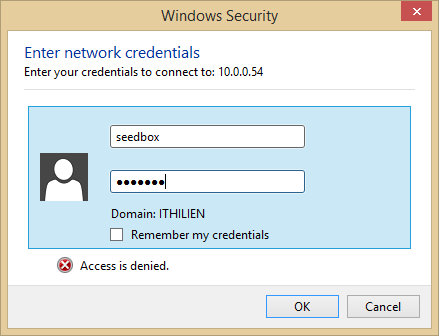 To keep things simple, I am using "seedbox" as my username and password. This is not secure, also I don't care if this is secure, you might though. I would suggest that you stick with "seedbox" as the username and choose your own password. I don't care if it is not secure, I save my private pictures on iCloud anyways. 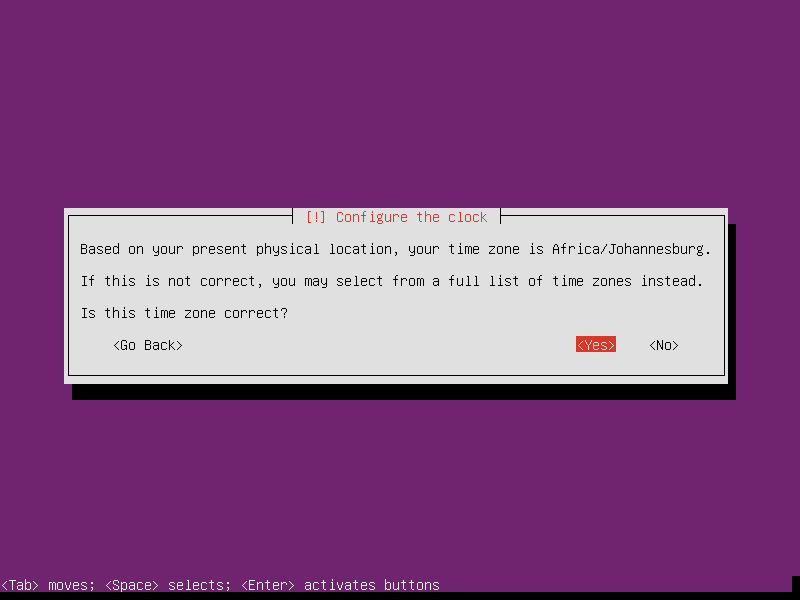 You can let Ubuntu try to figure out the time, it has never failed me. 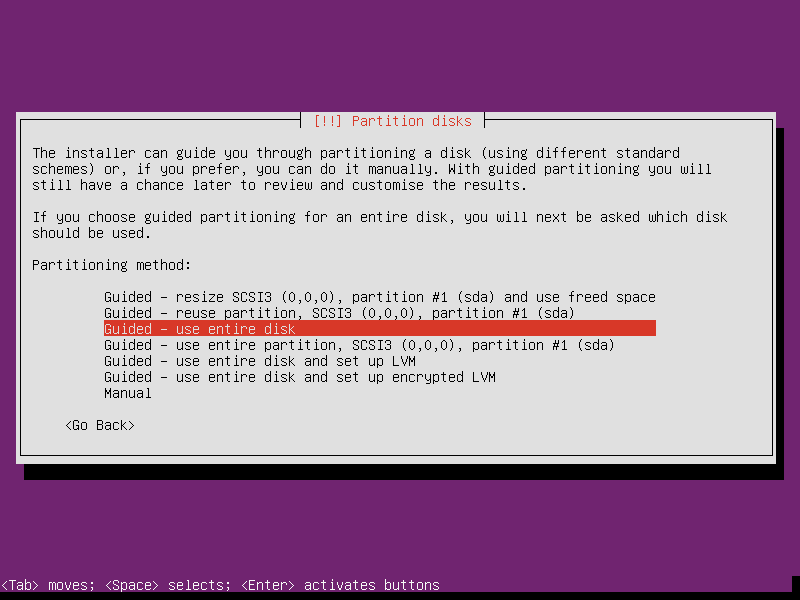 Setting up the partitions can be intimidating, why not let Ubuntu do it for you. I usually just go for "Guided - use entire disk". you may have a reason to do it differently. I don't use a proxy, in fact if you want to run a seedbox through a proxy then good luck to you. You may elect different, but I am okay with security updates. 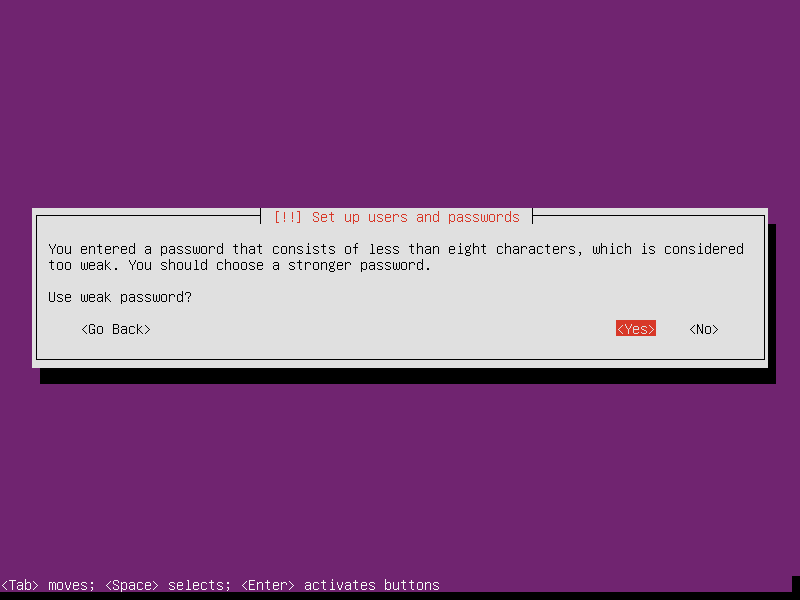 I just select OpenSSH at this point, since I will be installing what I need later on. Finish out the installation and let the computer reboot. 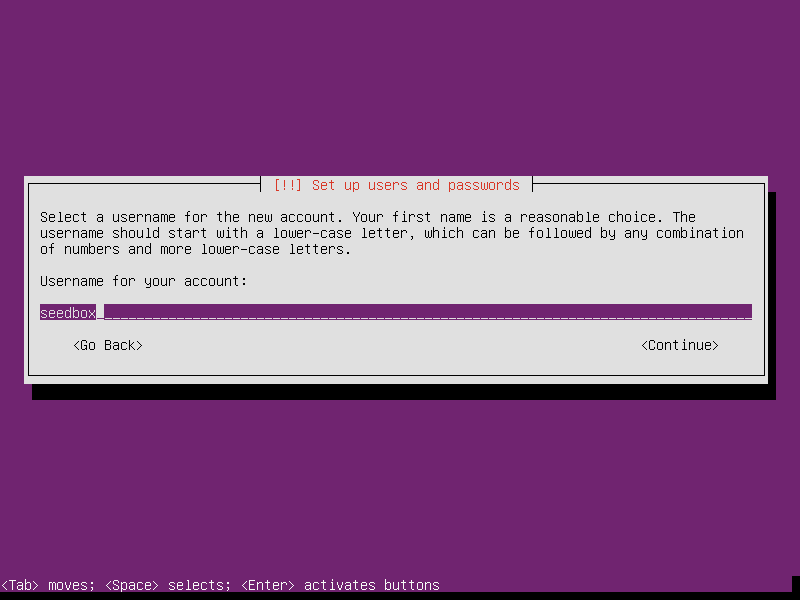 Log in with the username and password we configured while installing. While you can use DHCP to assign the server's IP Address, I find it much more useful to use a static IP. It will allow me to set up port forwarding on my router and also I will always know what IP to use when connecting with Putty or another SSH Client. 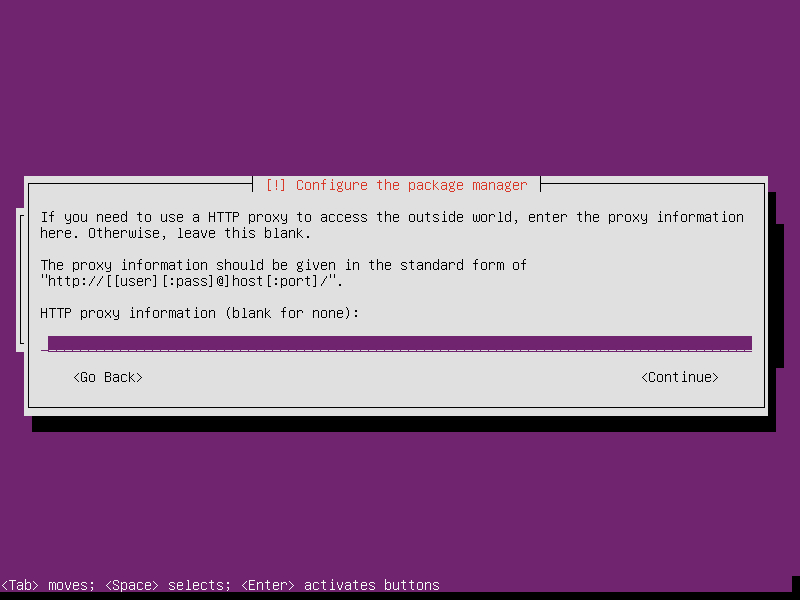 You will now be able to connect using Putty, which is easier since you will be able to copy and paste the commands straight into the Putty window. Next we want to create the user that Deluge will run under, we also want to add our default "seedbox" user to the "deluge" group so that we have access to the downloaded files. 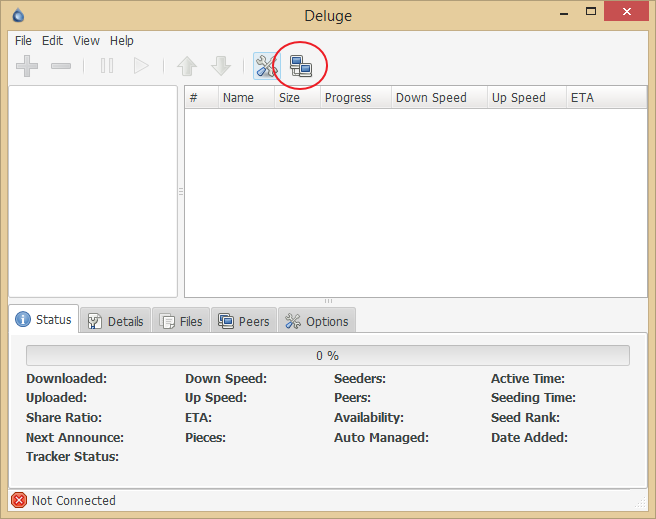 You also want to add the "seedbox" user to the "deluge" group to ensure that you can access the downloaded files. Now, open up your favorite text editor and put the following in /etc/init/deluged.conf. This is the upstart script to run the Deluge Deamon, and was taken from the Deluge documentation. This creates a user with the name "seedbox" and password "seedboxpassword"
If you want to be able to access your downloads via FTP, please follow the steps below. That is all you need to do to get FTP up and running. 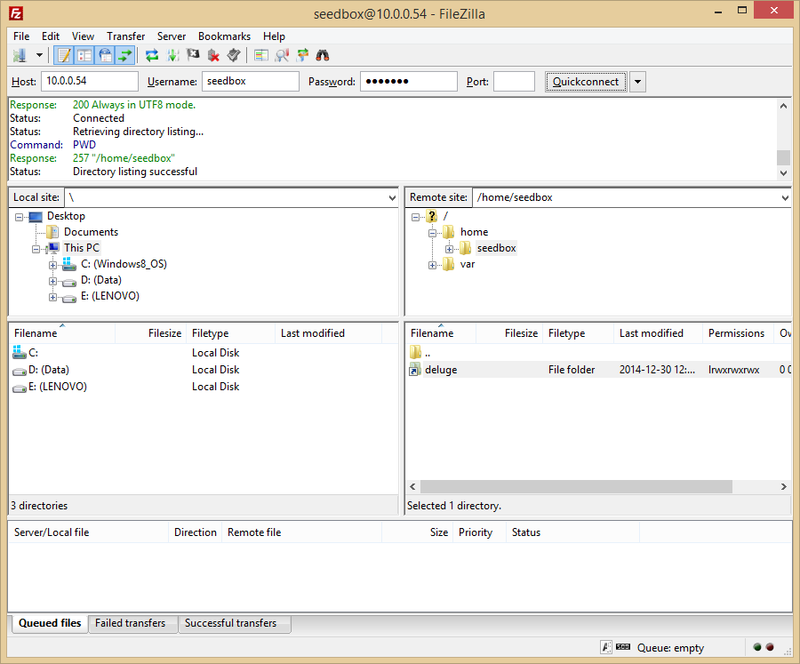 You will have two ways of managing your seedbox. The first method is by logging in to the web interface. 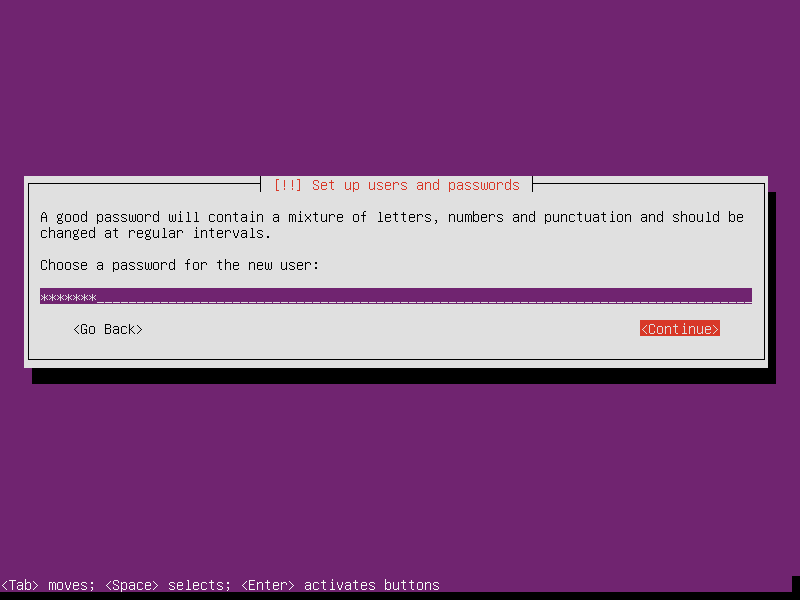 The default password for Deluge is "deluge"
On first login you will be prompted to change your password. My advice is that you do it. 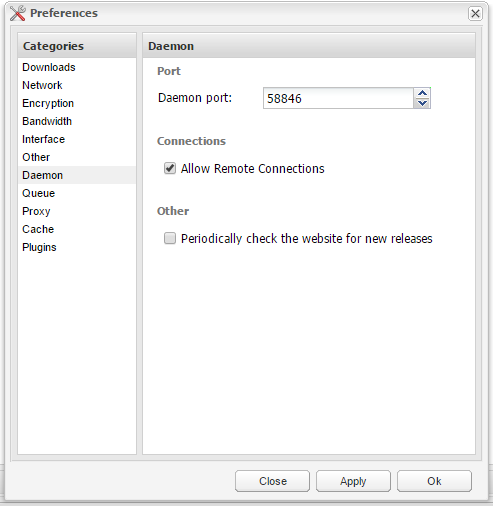 While we have the settings open, go to the Daemon category and make sure "Allow Remote Connections" is enabled. You can now start using Deluge using the web interface. Add torrents as you would with any normal torrent client. You will be able to access any downloaded files using Samba or FTP. This is in my opinion the best feature of Deluge. 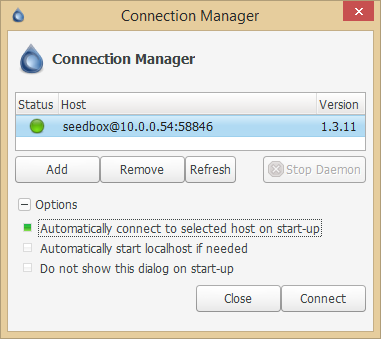 You can install the Deluge client on your PC, and use that to manage your seedbox. That means you don't need to upload torrents using the web interface. You can simply open them on the client on your computer, and they will automatically be added to the server. I assume you know how to install Windows applications, so I will walk through from the point where you run the Deluge client for the first time. To get access to the connection manager you need to switch off classic mode, to do this, open up the Preferences window, and go to the "Interface" tab. 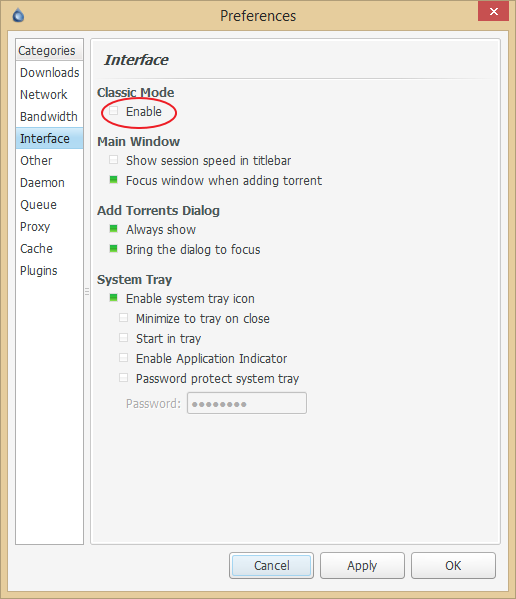 Under Classic Mode, deselect "enable" and click apply. 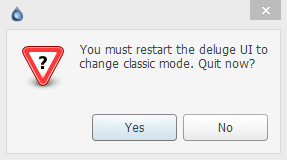 You will be prompted to restart Deluge, click yes. 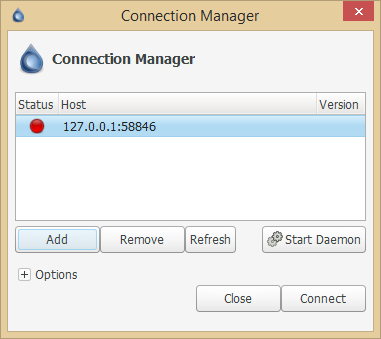 After restarting you will have access to the connection manager. 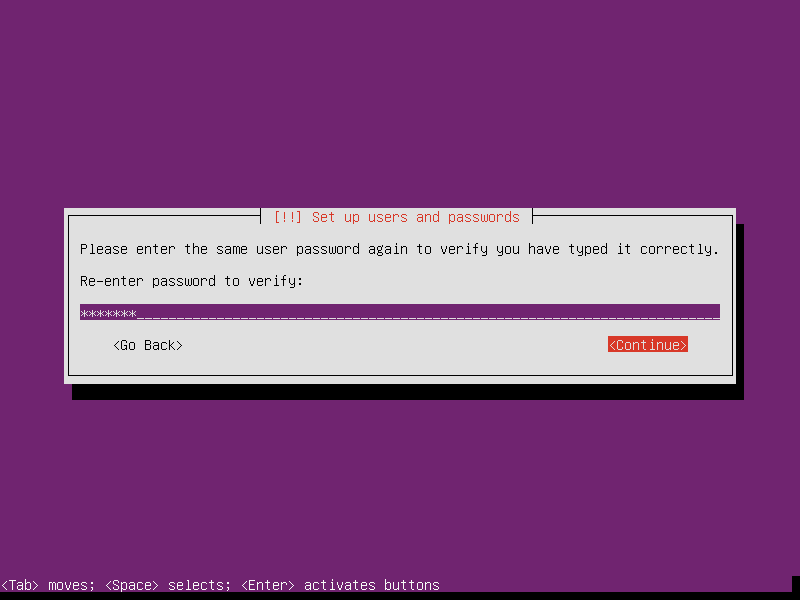 Enter the login details we created earlier, along with the correct IP for your seedbox. If you did everything correctly, you will now be able to connect to the server and start seeding! Thank you so much!! 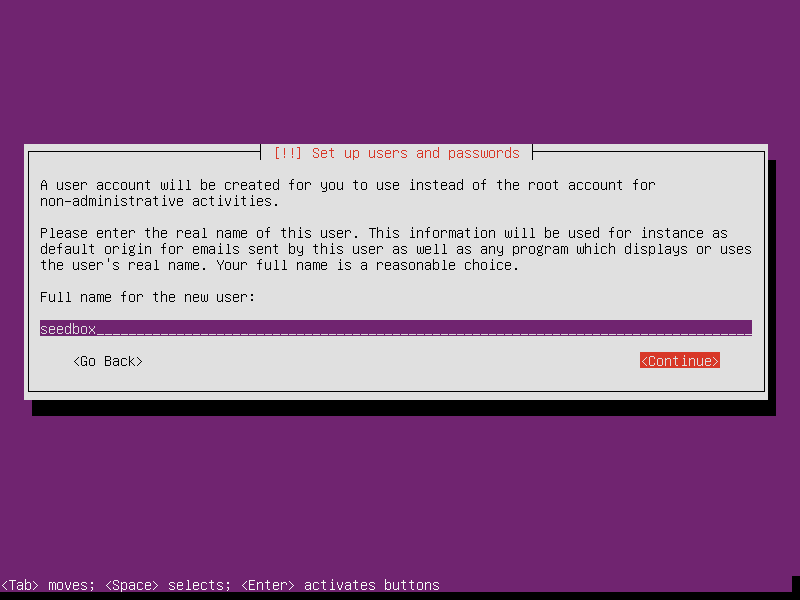 This helped a lot, I just set up a seedbox on an UBUNTU vps. Thank you for the valuable information. Also I work this category Best torrent software . Thanks a lot for enjoying this helpful article with me. Looking forward to another great article. All the best!